How excited is everyone for the holidays?!? I am SO EXCITED!! I hope everyone had a great Thanksgiving. As this post is being published, my husband and I are wrapping up a long Thanksgiving weekend in Prague. There will be good food, beautiful libraries and a few Christmas markets. I am sure I will be sharing lots of pictures next month. I am also looking forward to December. I will be spending about three weeks in the States for the holidays. November was a pretty good month. I participated in my first ever NaNoWriMo! I wrote a lot and ate even more of those little Italian pocket coffees. I did write my 50,000 words, so that is good. I did not finish my book yet though. It still needs about 10,000 more words. I am mentally exhausted though so I am taking a bit of a break from my characters (for now). 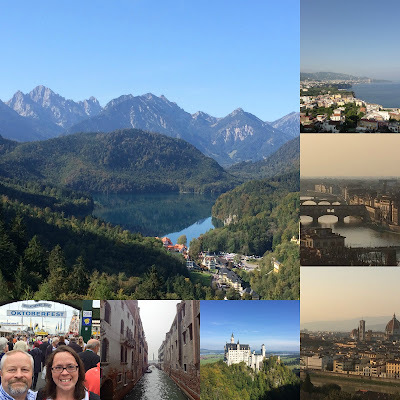 My blog also turned one in November! Yay! There is still time to enter the special giveaway I am hosting in celebration of my first blogaversary. Click here to enter. 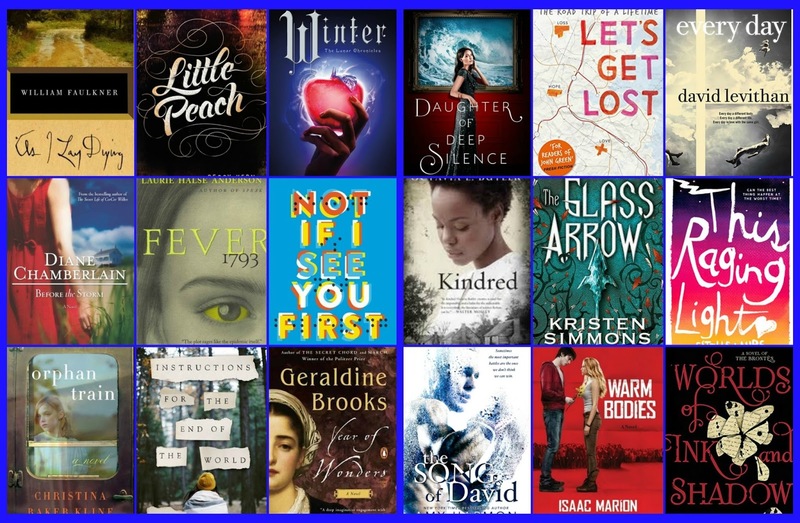 You can win any book that I have reviewed over the past year, plus a $25 Amazon gift card. I read a total of 18 books this month. I enjoyed most of them, which is always a good thing. I read a lot of great ones, a few average ones and there were only a few that I did not care for. I have two favorite books read this month. It should come as no surprise that one of them was Winter by Marissa Meyer. It was a phenomenal ending to the series! 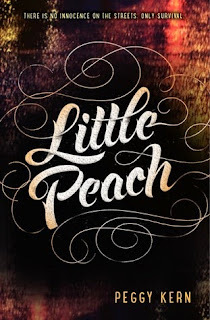 The other book that I loved this month was Little Peach by Peggy Kern. 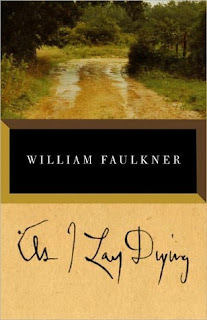 I guess it was As I Lay Dying. 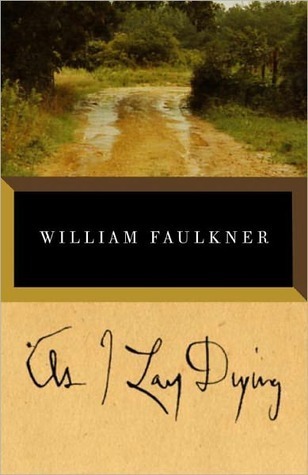 I know everyone is supposed to love Faulkner, but I just don't. The book was boring and rambling and I had to force myself to finish it. Insta-Love Literature: Does it ever work? How was your November? Do you have any special plans for the holidays? What was your favorite book read in the month of November? I received this ARC from NetGalley in exchange for my honest review. The scheduled publication date for this books December 8, 2015. He prepared their family for every natural disaster known to man-except for the one that struck. 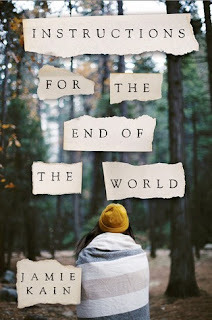 When Nicole Reed's father forces her family to move to a remote area of the Sierra Foothills, one without any modern conveniences, it's too much too handle for her mother, who abandons them in the middle of the night. Heading out to track her down, Nicole's father leaves her in charge of taking care of the house and her younger sister, Izzy. For a while, Nicole is doing just fine running things on her own. But then the food begins to run out, the pipes crack, and forest fires start slowly inching their way closer every day. Wolf, a handsome boy from the neighboring community, offers to help her when she needs it most, but when she starts to develop feelings for him, feelings she knows she will never be allowed to act on once her father returns, she must make a decision. With her family falling apart, will she choose to continue preparing for tomorrow's disasters, or will she take a chance and really start living for today? 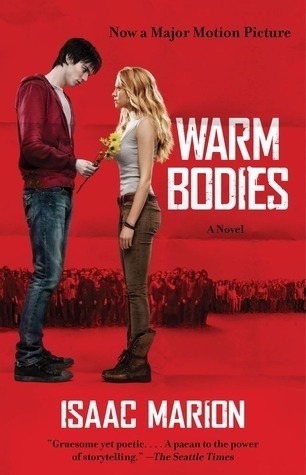 I wanted to like this book a lot more, but I was a bit disappointed because it wasn't quite what I expected. First of all, I expected this book to focus more on the survivalist things that Nicole's dad had been teaching her since birth. What I got was a book about two girls waiting desperately for their parents to actually come home. Nicole and her sister were in a cabin in the middle of nowhere with no running water and no phone, but they did have (some) money and plenty of food. So while they had awful, awful parents, it wasn't like they had to go into survival mode because of an apocalypse or whatever. Nicole and Izzy's mom takes off in the middle of the night, with NO word to anyone about where she was going, not even her children. This woman's husband dragged her to a cabin in the middle of nowhere, she knows he is crazy and yet, she doesn't even THINK of bringing her children along or even telling them goodbye. A couple of days later, her dad makes the incredibly mature and rational decision (insert sarcastic tone here) to go find her and leave the girls alone. These parents should not have had children. Ever. Their mom does write them a letter later in the story to say she wasn't coming back, but man, there was no emotion in that letter. I have written more emotional letters to my bank. Nicole was easy to like, maybe because I understood her. She went along with everything her dad said, even when she knew he was crazy, because she didn't want to disappoint him. I get that. Izzy, on the other hand, was a brat and I hated her. I tried so hard to put myself in the shoes of a fourteen year old girl who was in a cabin with no cell phone and no running water and I would probably be pretty miserable too. But Izzy was a brat and I hated everything she said and did. All she did was lay around and whine about everything and she never, ever helped her sister. Nicole was working like crazy to fix things around the house and Izzy couldn't even be bothered to cook dinner or do her own laundry. Nicole and Izzy meet Wolf and some other kids from a nearby spiritual commune or whatever. I could have done without all the POV's honestly. I was more interested in what was happening with Nicole and Izzy, but I was given POV's from Wolf and Laurel (another girl in the commune). I didn't mind Wolf's so much because he was an interesting character. But why were we given insight into Laurel's POV? Other than living at the commune with Wolf and having one or two interactions with Nicole and Izzy, she had nothing to do with anybody. And there was some history with Wolf and his mom and some scenes between them that didn't really need to be there either. Why did I care? The ending was also a big nothing. I won't give anything away, but I expected more to come from their parents abandoning them. I was thinking, "What was the point of any of this?" The good news (and one of the only things I liked) is that Izzy became less of a brat by the end of the book. Stuff happened that I won't get into because of spoilers and whatever, but it seemed to mellow her out. It also brought her and her sister together. By the end of the book, Izzy and Nicole resembled actual sisters and not just two bickering teenagers who just happened to live together. When Michelle runs away from her drug-addicted mother, she has just enough money to make it to New York City, where she hopes to move in with a friend. But once she arrives at the bustling Port Authority, she is confronted with the terrifying truth: she is alone and out of options. Then she meets Devon, a good-looking, well-dressed guy who emerges from the crowd armed with a kind smile, a place for her to stay, and eyes that seem to understand exactly how she feels. But Devon is not what he seems to be, and soon Michelle finds herself engulfed in the world of child prostitution where he becomes her “Daddy” and she his “Little Peach.” It is a world of impossible choices, where the line between love and abuse, captor and savior, is blurred beyond recognition. The saddest part about this book is that stuff like this happens. Girls run away from home for one reason or another and then these men lure them into prostitution and they feel there is no way out. The story of Michelle was so incredibly sad and heartbreaking. It made me sad and it made me angry. I cried throughout most of the book at what Michelle was going through. Michelle is in the hospital after being severely beaten up. The story goes between her experience in the hospital and her history and how she became a prostitute. Michelle's story is so sad because she just wants someone who loves her, someone who wants her. Her own mother kicks her out of the house because she is afraid Michelle will steal her boyfriend. Michelle's grandfather is the one person in the world that she can count on, but then he dies. She leaves for New York City, originally to meet a friend, but she is unable to find this friend. Instead, she finds Devon, a pimp who lures her into prostitution. Michelle is so naive that she doesn't realize what's happening when there is alcohol and drugs and strange men. All she knows is that these men want her and she pretends to enjoy everything so that Devon (or "Daddy," as he is called) won't be disappointed with her. What really made me angry was the way the nurse's treated Michelle while in the hospital. They treated her like she deserved everything she got because she was a prostitute. They just wanted to get her out of the hospital so they could use the bed for "real" patients. I loved the social worker though. She seemed genuinely concerned about her and wanted to help. The ending left a lot open, but I get why the author made the decision she did. Asking for help was the hardest part of Michelle's situation and her story was not going to end there. This was a horrifying story that needed to be told to help people understand what life is like for some of these girls. This is a weekly meme hosted by The Broke and the Bookish. They feature a different top ten list every week. This week's topic is about giving thanks! I have so many things to be thankful for, both bookish and non bookish. 1. My husband and my dog! They are my everything, so yes I must put them first on the list. My husband is so incredibly supportive and amazing in every way. My dog is pretty much the best dog on the planet, but I may be a bit biased on that one. 2. My family. I am so grateful for my entire family . 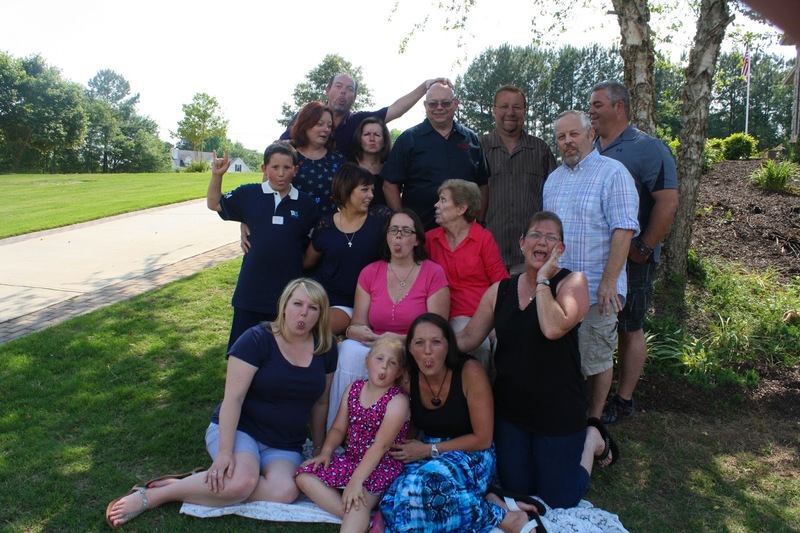 . . my parents, niece and nephew, my grandmother and my aunts and uncles. We are a silly, silly bunch and I miss and love them so much. 3. I am so thankful that my husband got a job with the Navy that allowed us to live in Italy. Living here has been an amazing adventure and it has allowed us so many opportunities for travel around Europe. The next few years are going to be amazing and I will treasure every moment we are here. 4. Italian pocket coffee! These are little bites of chocolate with a shot of real Italian espresso in the middle. Mmm . . . these things are good! There were more than a few times when they gave me a much needed pick me up for NaNoWriMo. Too much caffeine gives me a migraine, so my limit is one at a time. That is enough though. My husband can always tell when I have had a pocket coffee. I get super duper hyper! 5. NetGalley and Edelweiss. So grateful for free books from generous publishers through these websites! 6. I am thankful I have the ability to work out. I know some people genuinely can't do some of the things I can because of illness or because they are in a wheelchair. 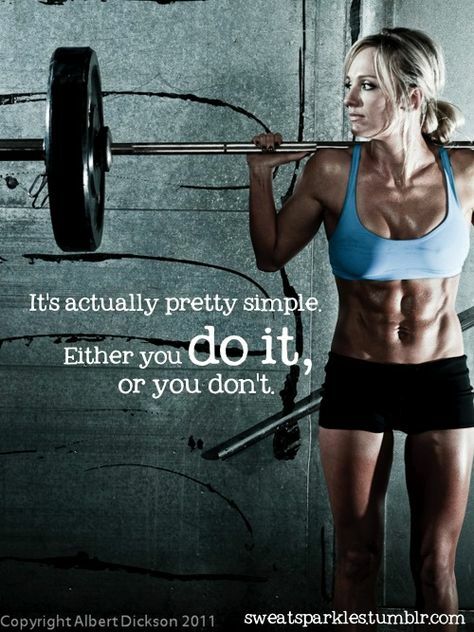 I do not take my ability to work out for granted. 7. My health! Maybe this also goes with #5 a little bit. I have a form of muscular dystrophy. Aside from a very high arch in my foot and the need for ankle braces when I walk a lot because of clumsiness, I am still very physically active. My uncle actually had to retire when he was my age because his hands were so affected and he couldn't work anymore. I know others have been put in a wheelchair by the time they were my age. I am always so incredibly grateful for the fact that my disease doesn't affect me nearly as much as it could. I don't know if it will ever progress to that point, so I will take every second of freedom that I can get. 8. My Kindle Fire! It's hard to believe, but there was a time when I resisted the Kindle. I was very stuck in my ways and thought it would be a betrayal to physical books to make the switch. Man, I am so glad that I did. I am such a speed reader so it is nice to have hundreds of books at my fingertips. 9. Lotion. Yeah, I know this is a weird one, but I moisturize ALL THE TIME. My husband says I might have a problem, but whatever. He has never complained that I am "too moisturized." Favorite lotion ever? Baby lotion! Yep, you heard me right. Baby Lotion. I have no kids, but I go through that stuff like crazy. I am thankful my grandmother taught me that one. It really does moisturize incredibly well. 10. I am thankful for YOU, my wonderful readers. Thank you for taking the time to read my posts! And don't forget to enter my giveaway for my first year of blogging! I am so thankful that I am still blogging and that I love it! Can you believe we are almost at the end of NaNoMoWri?? Good news: As of today, I will be making my 50,000 word goal. If all goes well, they will be written by the time this post goes up! Bad news: I still have a good 10,000 or so words left before my novel is finished and I don't think I will be able to finish this month. I still have a lot done though, so I won't complain. My goal was to at least make my word count by the 24th because my husband and I are leaving on the 25th for a long weekend trip. I am happy I made this goal. Shay at The Story Goes was kind enough to tag me in these two NaNoMoWri tags. I thought I would take a break from my writing to answer these questions. I don't remember . . . I think someone mentioned on Facebook a couple of years ago. I always wanted to do it, but I finally got the motivation this year. My wonderfully supportive husband is the one who has been pushing me the hardest. I am so bad at coming up with titles, but the tentative title for my current book is Starving. The exact specifics of my plot keeps changing (yes, it changes even now). The basic synopsis is this: Emma is a lonely sixteen year old girl who hates living in her own skin and spirals into an eating disorder. I guess the best advice that I have heard time and time again this year is to just write and don't worry about editing myself. The whole no editing thing has been tough. My imagination! Really, I hate this question. Sometimes a book idea just pops into my head. One idea I have was inspired by an episode of Law and Order: SVU. Maybe that will be one that I work on next year? I'm so sorry. No, that is not my first sentence. That is me apologizing because I am just not ready to share my work yet. Maybe another time. I am way too self-conscious right now. Write Fuel: What do you eat or drink while writing? Usually just ordinary water. 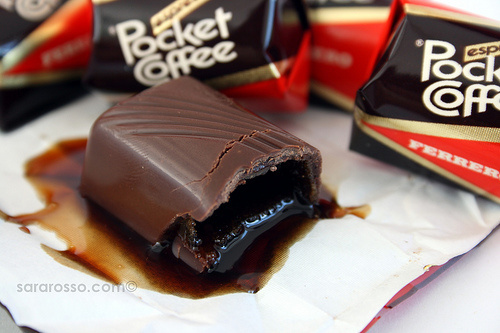 Sometimes, I will eat an Italian pocket coffee. Those are little pieces of chocolate with a shot of Italian espresso inside. HOLY YUM!! Too much caffeine can give me a migraine, so my limit is one. My husband can always tell when I have eaten a pocket coffee. I am super duper hyper. Write Vice: What's your most debilitating distraction? The Internet!! There were a couple of days where I kept surfing the Internet after only writing a few words. Write Horror: What's the worst thing that's ever happened to you while writing? Nothing, so far (knocks on wood), but I did have a scare. I typically save my book in two places: my desktop and my external hard drive. One day (about 27,000 words in or so), my computer went wonky and the screen went black. We had NO IDEA what was wrong. Luckily, we were able to reboot it and were able to get it back up and running. But I was panicked because I realized that I hadn't backed up my book to my external hard drive in about 10,000 words. Lesson learned. Write Joy: What's the best thing that's ever happened while writing or how do you celebrate small victories? Not really sure about the best thing that has ever happened thing. The main victory I celebrate is meeting my daily word goal. The way I celebrate is to read a book. Yes, I celebrate my writing victory by reading someone else's work. I don't really communicate with anyone while I am writing. I am a solitary writer. My husband can see when I am writing and he is nice enough to give me space during that time. Write Secret: What's your writing secret to success or hidden flaw? I can't even tell you my secret to success, mainly because I don't have one. My hidden flaw is dialogue. I have realized that I am horrible at it. Sometimes, I just let my characters say the first thing that comes to their (my) head. Some of the dialogue is good and some will need to be edited. Setting a goal. If I have a word count goal, I am usually very good at making it. I tell myself that if I don't feel like writing after my goal is met, I can read or surf Facebook as a reward. More often than not, I end up writing more than my goal. Write Peeve: What's one thing writers do (or you do) that's annoying? I guess the one thing I do that may be annoying is talk about how bad my work is. I am sure my first draft is far from being ready for publishing, but I know there is some good stuff there. Write Words: Share one sentence from a project, past or present? As I wrote earlier, I am way too self conscious to share any of my work right now. Maybe getting some self confidence is in order. I tag anyone who is participating in NaNoWriMo to do these tags! Tell me . . . are you participating in NaNoWriMo? If you are, how are you doing with your goals. You can add me as a buddy here! R is a young man with an existential crisis--he is a zombie. He shuffles through an America destroyed by war, social collapse, and the mindless hunger of his undead comrades, but he craves something more than blood and brains. He can speak just a few grunted syllables, but his inner life is deep, full of wonder and longing. He has no memories, no identity, and no pulse, but he has dreams. After experiencing a teenage boy's memories while consuming his brain, R makes an unexpected choice that begins a tense, awkward, and strangely sweet relationship with the victim's human girlfriend. Julie is a blast of color in the otherwise dreary and gray landscape that surrounds R. His decision to protect her will transform not only R, but his fellow Dead, and perhaps their whole lifeless world. This was one of the most original and creative dystopian books I have read in a long time. I haven't read too many zombie books, but I have watched a lot of The Walking Dead (that's almost the same thing, right?). It was so interesting to hear what is going on in the world from the POV of one of the zombies. One such zombie is named R. He can't remember his name or anything else from when he was alive. He just remembers a vague sound, like an R. R eats the brain of a boy named Perry and somehow he can remember the boy's life and his emotions. He becomes very protective of Perry's girlfriend, Julie, and he doesn't eat her or kill her. He takes her to the airport where all the zombies are hanging out and hides her in one of the planes. In the beginning of the book, R's communication skills and even his thoughts are very basic. But his thoughts get more complex as the book progresses. There are quite a few times where you really have to suspend your disbelief and just go with it. For one thing, I still don't fully understand about the Boneys. Basically, Boneys are exactly what they sound like: they are skeletons and for some reason, they are "in charge" of all the zombies, or "Flesheys," as they are sometimes called. The Boneys even marry zombies to each other. Yes, R took a zombie wife and even assigned two children to them. But there is no emotion here, just a weird connection because all of them like to eat people. R and his wife separate and go their separate ways just as easily as they "get married." I don't really understand how the Boneys came to be in charge of all the zombies or whatever, but what is evident is that they want to keep the status quo of how the world is. Zombies are supposed to kill humans. End of story. That is the way it is supposed to be. But when R refuses to kill Julie and when he protects her from all of the other zombies, he changes things and the Boneys don't like that. What I love about this story is that there is so much more to it than just a romance between two very unlikely people. The romance doesn't even happen right away, at least not on Julie's end. There is also so much action. R is protecting her from other zombies and then Julie hides him in a walled (and guarded) city that a large number of people formed to keep the zombies away. So there were a LOT of action scenes where R and Julie were running away from stuff, sometimes they were running from zombies and sometimes they were running from humans. The biggest human threat was Julie's dad. He was a piece of work. But I guess you can't really blame him for wanting to kill a zombie, right? I There were also some very funny moments, like when Julie, R,, and Julie's friend, Nora went to a "bar" in the compound, where they had shots of grapefruit juice with some smuggled vodka. And a drunk zombie seems to be an entertaining one. Oh, and Julie had a crazy amount of stolen art in her room. But no one was looking for it because, you know, the world went to dust and all that. I also loved that Julie was trying to remain hopeful, even after everything crumbled around her. People around her just wanted to kill the zombies or they just wanted to survive. But she wanted to live. She found hope that people were still having babies, even in the middle of all the chaos. She knew there was more to live for than just surviving. This book had me hooked from the very first page and I can't wait to read the sequel. The ending was not exactly a cliffhanger, but it was a bit open ended. If you want a story that is different and creative, then I would highly recommend this one. Bingeing On Books Turns One + Giveaway! Wow, can you believe it? My blog is ONE today!! It's so crazy that my blog is celebrating is very first birthday. I guess my blog is no longer a newborn, huh? I think this calls for copious amounts of chocolate (yeah, like I needed another reason to eat chocolate). I originally started this blog because I wanted a forum to obsess and fangirl about all the many, many books that I love. I could never imagine just how many awesome people I would meet. 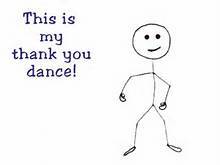 I just want to thank all of my readers and all of my followers and all of the people who take the time to comment on all of my posts. My first post was just an introduction. My very first review was for Wuthering Heights by Emily Bronte. I kind of cringe when I read some of my earlier posts and reviews. I would like to think my reviews (and my rating system) have improved. I have come a long way. Highest rated discussion post: How Necessary Are Negative Book Reviews? I have had so much fun blogging over the last year and I hope that I blog for a long time to come! Now what would a birthday be without gifts? 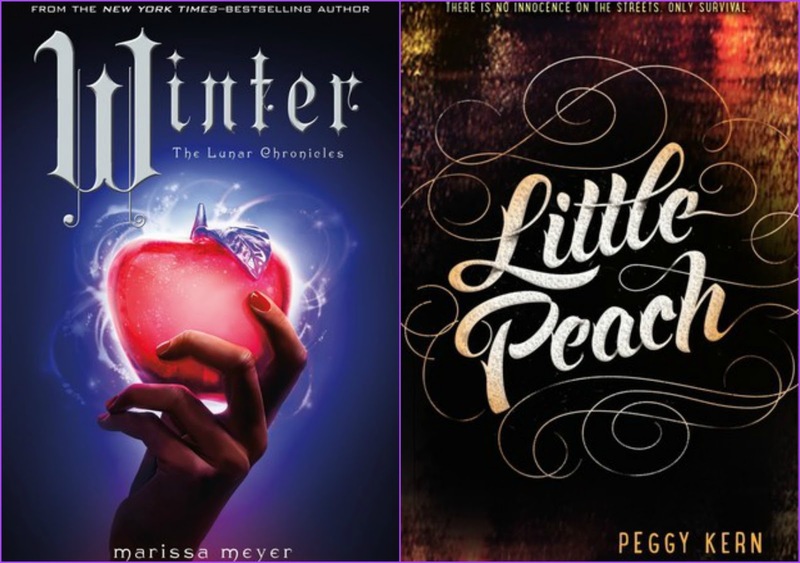 And because I love all of my readers so much, I am doing a special giveaway today. I am giving away ANY book that I have reviewed over the past year PLUS a $25 Amazon Gift Card for you to get the book of your choice. 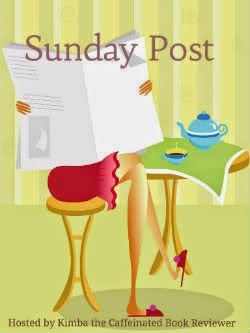 Feel free to take a look at my Book Reviews Archive to see which books you would choose. With so many book reviews, I am sure you will have no problem choosing something great. 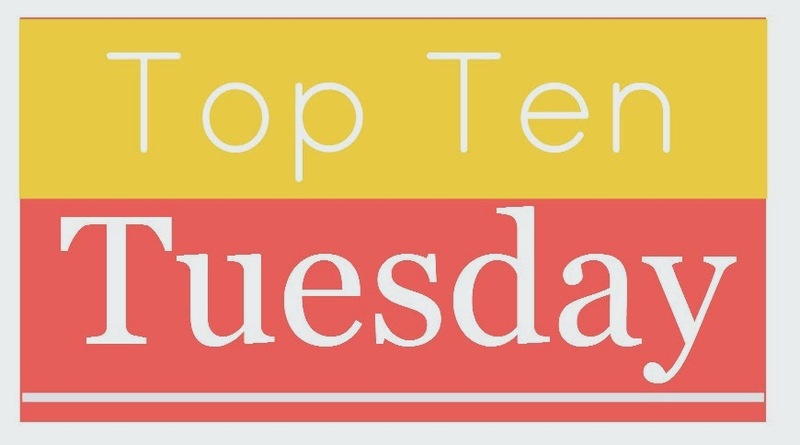 Top Ten Tuesday - Favorite Quotes! This is a weekly meme hosted by The Broke and the Bookish. 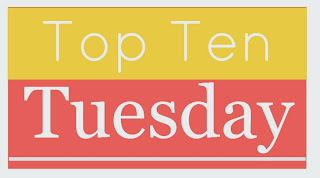 They feature a different top ten list every week. This week's topic is top quotes from books read this year.